Baby Gear: What is Essential? What Can You do Without? Learning the essentials of baby gear shopping. 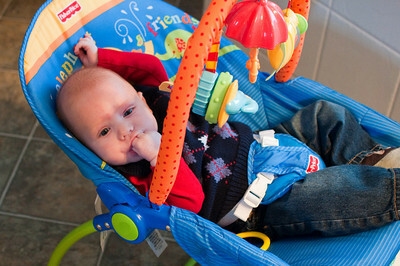 Thousands of new types of baby gear flood the market every year. Parents-to-be are overwhelmed by the options that they are presented when visiting the baby aisle each year. It can be difficult to differentiate between what is necessary and what is simply for show. A crib and comfortable mattress is a necessity. Bassinets and co-sleepers are nice to have on hand for the newborn phase, but babies quickly outgrow them. A crib will last a few years and the mattress can be converted to a toddler bed when the crib is outgrown. Convertible cribs can be changed into toddler beds, day beds, and even full-size frames with time. Though some, light blankets are okay to have on hand, it is best to place baby in a blanket sleeper instead of giving them a sheet or blanket until they are past one year of age. Parents today have more options than ever when it comes to diapering. Some even opt to go with the no-diaper method known as elimination communication. However, for the majority of Western parents diapers are still considered a societal necessity. For parents who are interested in cloth diapering, 12-24 flat/prefold or all-in-one diapers is a good start. For those who wish to use flat/prefolds, 5-10 covers is usually enough. For those interested in disposable diapers, it is a good idea to begin investing before the baby arrives to offset some of the cost. The average newborn uses 70-90 diapers per week, decreasing only slightly as they get bigger. Parents should also begin to invest in sensitive, unscented disposable baby wipes or flannel wipes. A good diaper pail or reliable wet bag is also necessary, especially if using cloth. For someone who cannot walk yet it is amazing how much babies can go through clothing. Compound that with the fact that new parents are tired and do not want to be tasked with laundry two times a day. Guests at baby showers and family members love to gift fancy, impractical baby clothes. Instead of stressing about suits and frilly dresses, stick with the basics. The first month or two of life should be primarily spent at home anyway. It is best to buy a mix of newborn to three month and three to six month size clothing. Even most breastfeeding mothers will pump and leave a caregiver with bottles during work or while out. For breastfeeding mothers, bottles are of less importance, especially during the first month or two, but they are nice to stock up on. Mothers who plan to formula feed should purchase bulk packages ahead of time, for those who plan to breastfeed it is best to keep formula out of the house until the relationship has been well-established.